Today, Kaspersky has confirmed that they are withdrawing its European antitrust complaint against Microsoft. The software giant has agreed to make changes to the upcoming Windows 10 Fall Creators Update that will help Kaspersky anti-virus to provide notifications and alerts to renew virus definitions. 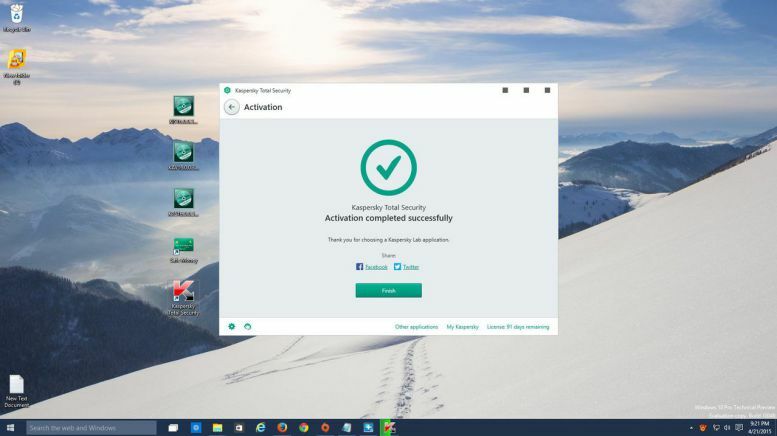 Previously, Kaspersky filed a complaint back in June, claiming that Microsoft disabled its anti-virus software during Windows upgrades and that the software maker was using its dominance to “fiercely promote” its own Windows Defender software. Microsoft admitted in late June that Windows 10 prompts to install a new version of anti-virus from third parties like Kaspersky after an update, but it disables the old version if it’s not compatible. Here are some of the upcoming changes to Windows 10 Fall Creators Update. Microsoft will work more closely with AV vendors to help them with compatibility reviews in advance of each feature update becoming available to customers. The company will work through compatibility issues with AV providers before offering the update to customers running that AV. The company will give AV partners better visibility and certainty around release schedules for feature updates. This includes increasing the amount of time AV partners will have to review final builds before the next Windows 10 feature update is rolled out to customers. Windows 10 Fall Creators Update will enable Anti-Virus providers to use their own alerts and notifications to renew antivirus products before and after they have expired. Microsoft also modified how Windows will inform users when their antivirus application has expired and is no longer protecting them. Instead of providing an initial toast notification that users could ignore, the new notification will persist on the screen until the user either elects to renew the existing solution or chooses to rely on Windows Defender or another solution provider. Kaspersky Lab is also taking all steps necessary to withdraw its filings to the European Commission and to Germany’s Federal Cartel Office.